The level of TVs has leaped up in the last couple of years with all new technologies and certifications. 4K TVs have been talk of the town and now become a major new standard. All big electronics manufacturers like Samsung and Panasonic introduced new 4K TVs during CES 2016, most of them have Ultra HD Premium certification. 4K refers to a resolution of 3840×2160 pixels and is also known as Ultra HD. It is four times the resolution (1920×1080) of Full HD TV. Though 4K is also referred, as Ultra HD or UHD, there is the difference between the terms. 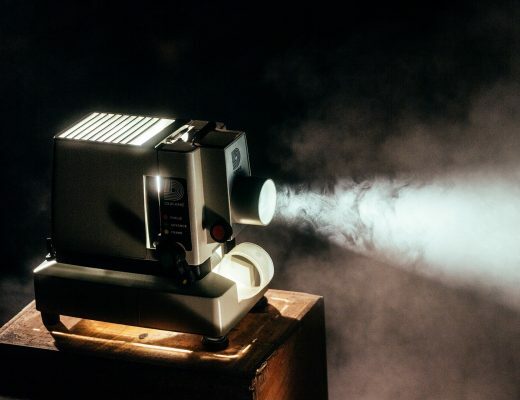 4K refers the 4096×2160 resolution and first introduced in digital cinemas whereas UHD refers to 3840×2160 resolution that is found in 16:9 ratio TVs that you actually take home. 4K takes television and gaming to a whole new level. Every image on a 4K TV is 4 times more detailed, and all that detail brings to life superior-quality pictures with more depth, more clarity, and more color. It is the definitive viewing experience. Stunning Resolution: It offers four times the picture resolution of Full HD 1080p. The increased pixel density allows you to sit very close for a fully immersive experience. Real Experiences: High Dynamic Range (HDR) creates a more realistic, natural-looking picture. HDR technology magnifies the contrast and color range of the existing pixels on your TV to show a better, brighter and more colorful image. Better Picture for Everything: It dramatically improves the picture quality of all your current movies and TV shows to stunning, near-4K Ultra HD quality. Though 4K has its critics, there are big fans. Its extra resolution adds better definition and clarity to the picture. It is more like looking through the window instead of watching TV. Even though 4K is particularly effective on very large screens like a 65-inch set or more, it improves image quality at pretty much any screen size. You can easily notice the effect if you upgrade from a TV to 4K of the same size. The filmmaking community considered 4K as being able to reproduce the type of resolution and ‘finish’ that 35mm film gives. It is recommended to sit closer to the screen to get the best from 4K. The extra resolution and increased pixel density allow you to sit close without spotting individual pixels and filling up more of your field of view for more immersive experience. It’s not that you won’t get any benefit from distant viewing. You will still perceive more depth, more smoothly rendered colors, and solid and three-dimensional objects within the picture. What can you watch on 4K TV? You will want native 4K sources like 4K streaming services like Netflix and Amazon, and Ultra HD Blu-ray players. 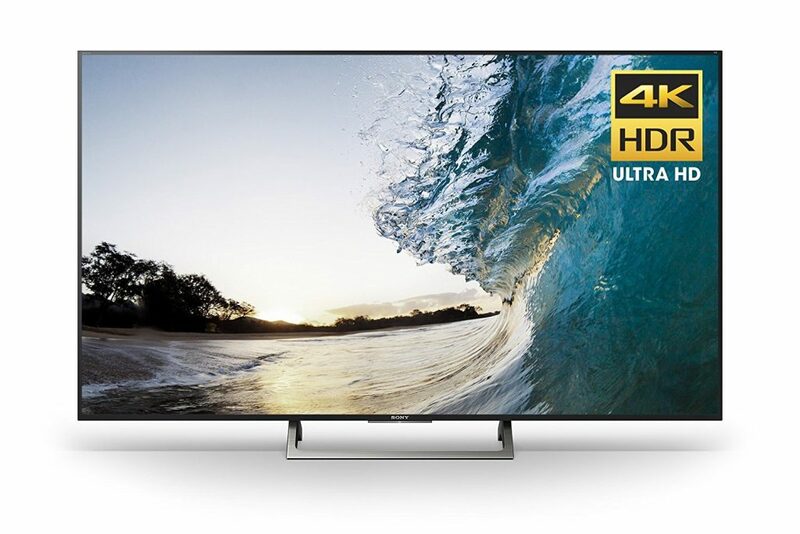 However, your 4K TV will upscale HD and standard definition pictures to its 4K-pixel count. There are lots of 4K contents, Netflix is one of the most important options. Amazon Prime Instant Video also offers some 4K content for free. The other main source of 4K content is the Internet, mainly YouTube, and few dedicated 4K sites. There are few boxes that will help fill your screen with glorious 4K. Roku has announced a new 4K-capable streaming box of its own. Also, 4K has become the new way to play. Consoles like PS4 Pro and Xbox One S support 4K. You can experience spectacular graphics with visual precision and enhanced game play for sharp and smoother on-screen action. Older 4K TVs cannot support the 4K streaming. None of the 2013’s and 2014’s 4K TVs can handle Netflix’s 4K streams as they were not able to decode the HEVC video format that Netflix adopts. 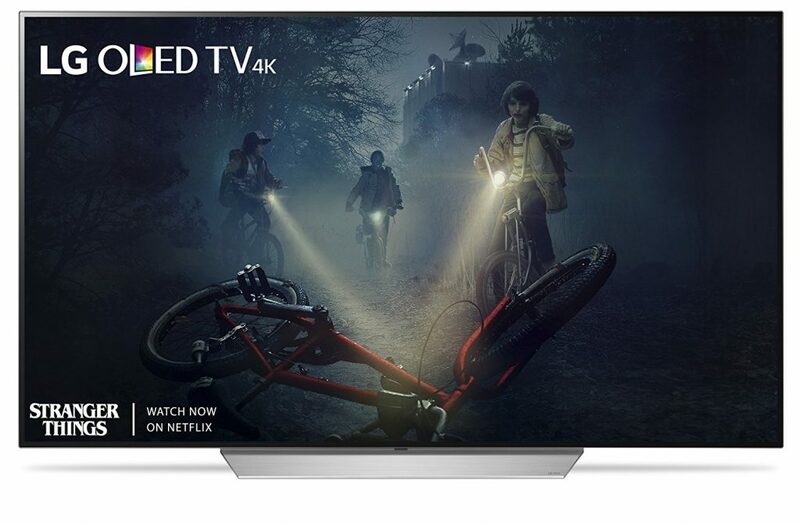 Many 4K TVs that were released in 2015 support Netflix 4K streaming. 2016’s TVs are the first batch of TVs where 4K support is prevalent. So far, SONY is one of the biggest supporters of 4K with an available library of a couple of hundred 4K movies. Amazon and Netflix are the major services streaming 4K, and both need a broadband speed of a minimum of 15Mbps. The speed needs to remain consistent at or above that, otherwise, the picture will slip back into HD mode as soon as the speed lowers. However, a fast broadband connection is a must for a 4K. An HDMI socket is all you need but not every HDMI is the same. There are multiple versions/standards of HDMI available but only the latest v2.0 HDMI is designed specifically with 4K feeds in mind. The previous v1.4 HDMIs support 4K feeds up to 30fps but the v2.0 HDMIs support increased data bandwidth enabling playback of 4K feeds with full-color sampling at frame rates of up to 60fps. The v2.0 HDMI sockets have recently entered the TV manufacturing stream. Most of the major TV brands like LG, SONY, Panasonic, Samsung, and Philips have HDMI 2.0 in their current TVs. Well, there is no written set of criteria to tell you when you need 4K but this is probably the year to get one anyway. 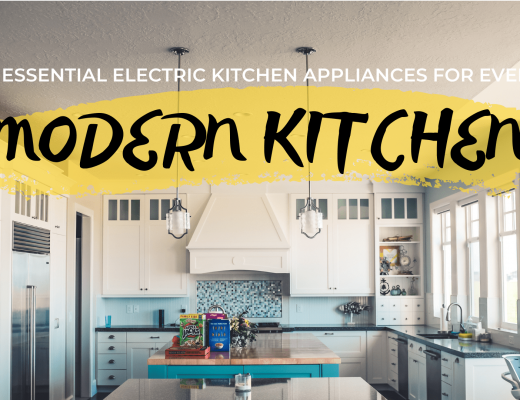 If you are planning to replace your television because it is outdated or broken, it is a good time to seek a 4K model. You can be sure that now purchased 4K TV that has HDMI 2.0 ports will be ready for the future. Also, it is affordable enough to be compared directly with 1080p televisions in price. The performance has steadily improved as prices have dropped, and the technology to bring 4K content to the screen is relatively standardized. This is why it is the time if you are waiting to get a 4K TV. There is a wide variety of 4K TVs in terms of their quality of their interfaces, HDR, and physical design. It does not mean the TV will do well just because it supports the latest and greatest tech. It can be confusing when choosing the best TV. We have prepared a list of best 4K TVs to help you get the one that fits your needs and save yourself from spending a fortune on the features that you don’t need. LG is the biggest name in OLED (Organic Light-Emitting Diode) TVs and has a wide selection of screens to choose from. The LG C7 offers the single best combination of superb performance and excellent value in terms of the price of all the new models and those from 2016. It offers the best image quality and is a great improvement on the previous models, LG’s OLED TVs. It is a high-end TV in 2019. LG OLED55C7P (55-Inch) is cheapest OLED TV of 2019 and offers superb picture quality with perfect black level, superlative contrast, and a color range that’s both impressively wide and remarkably out of the box. 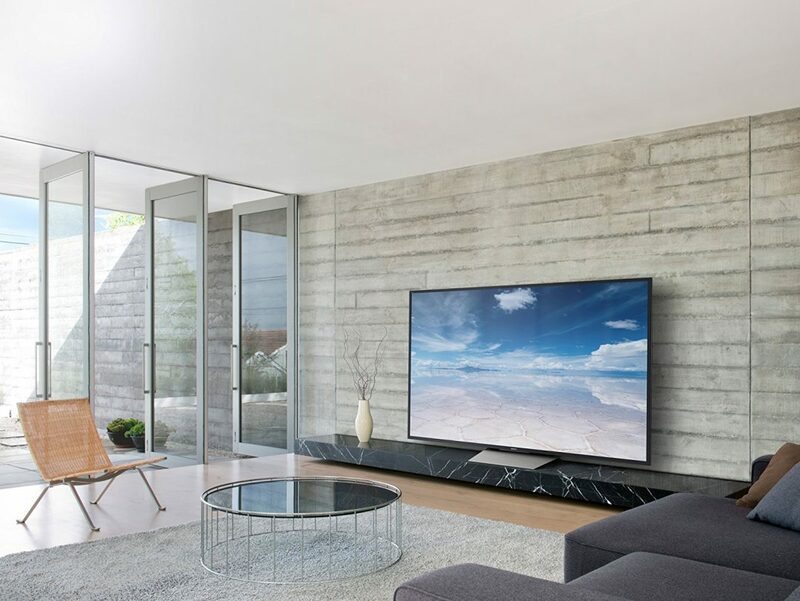 It takes LG’s minimalist TV design to the next level. The screen is completely bezel-free, framed only by a 0.3-inch black border completely flush with the rest of the display and a very thin rounded edge that sticks up slightly against the panel. It doesn’t even have the LG logo. The panel is less than a quarter of an inch thick, though the lower half of the TV widens out to 1.7 inches to accommodate the large plastic hump that holds all of its electronics and connections. It features four HDMI ports, a USB 3.0 port, two USB 2.0 ports, an antenna/cable connector, an Ethernet port, a composite video input, and optical and coaxial audio outputs. The remote has conventional buttons with an air mouse function that can move the on-screen cursor around with motion. Along with number pad, volume and channel buttons, playback controls, four-color button, and buttons dedicated to Amazon and Netflix, it features a built-in microphone for voice search and control. The C7P runs on WebOS 3.5, a very polished and fairly robust smart TV platform. While it doesn’t have the substantial apps and services of Android TV or Roku, you could discover the most essential streaming media names like Amazon, Hulu, Netflix, Vudu, and YouTube. WebOS also features a Web browser, a live TV program guide, and screen sharing through Miracast and WiDi. It is visually appealing and easy to use, but separated media streaming device like a Chromecast Ultra is needed if you want Google Cast screen sharing or access to services like Crunchyroll, Google Play, and Sling TV. The LG C7P offers the top-class contrast, it shows a perfectly dark black level, emitting no light even when another part of the screen was pumping white. Besides its remarkable contrast, the C7P offers an amazingly wide color range. The TV can extend far beyond the standard broadcast color gamut, pushing as deep into greens and reds as we’ve ever seen while remaining balanced and not skewing. Even secondary colors are richer while staying close to the hues they need to display. It offers the ultimate expression of high dynamic range, from brilliant brights to deepest darks. The C7P series offers one of the best pictures, best quality in minimal design. It is 4K TV so it is obviously pricey but the prices are likely to drop. It lacks 3D technology. 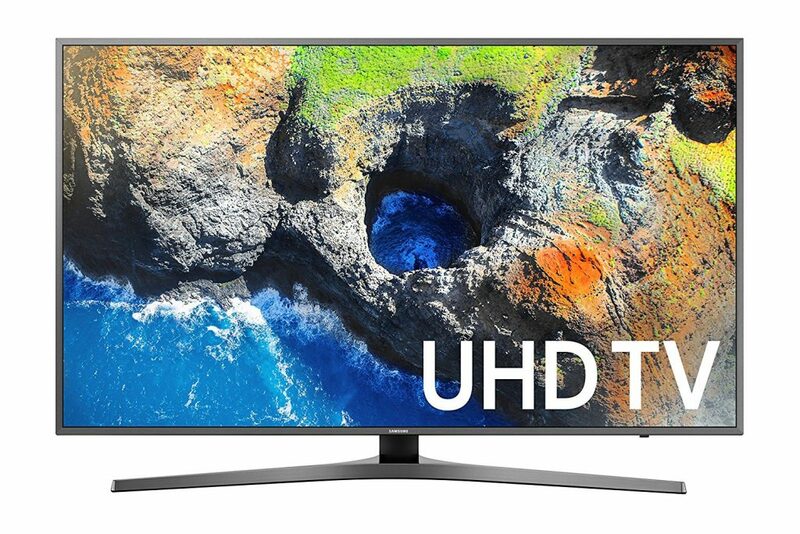 However, the perfect black level and infinite contrast, wide viewing angle, perfect motion handling, low input lag, and WebOS make it one of the best 4K TVs of 2019. If you want the best picture quality and ready to pay some thousands then you should definitely go for LG OLED C7, either OLED55C7P or OLED65C7P. The 2017 models of Samsung, the MU7000 series are available in four screen sizes: 40-inch (Samsung UN40MU7000), 49-inch (Samsung UN49MU7000), 55-inch (Samsung UN55MU7000), and 65-inch (Samsung UN65MU7000). The MU7000 series offers plenty of the newest, flashiest TV features like 4K/UHD resolution, HDR compatibility, and the Tizen-based Samsung Smart Hub. These sets have a sleek finish called ‘titan silver’ and perch upon futuristic Y-shaped stands. The major specs for the MU7000 series are 4K/UHD resolution, High Dynamic Range compatibility, Titan silver design, Edge-lit VA panels with software dimming, 60 Hz native refresh rate and Samsung Smart Hub. Its blacks are nice; all thanks to its very high contrast, and it produces a wide color gamut, which is good for HDR. Its low input lag makes it great for gaming and its design fits any room. However, the picture quality deteriorates at an angle and it could be brighter. The MU7000 has a great design with a thin metal edged frame. Like most of the Samsung TVs, it has a familiar central stand. It is very stable and supports the TV quite well. It is quite thin if the stand is removed and also looks good if wall-mounted. The MU7000 supports most common input signals, including HDR, and can properly display most content. It features 3 HDMI ports, 2 USB ports, 1 Digital Optical Audio Output, 1 Component input, 1 Composite input, 1 Tuner (Cable/Antenna) and 1 Ethernet. The MU7000 has a good picture quality; the high contrast ratio and the great black uniformity deliver good experience watching movies in the dark room. However, it won’t be as stunning if set in a brighter environment. The gray uniformity is very good and dirty screen effect is really not a problem regardless of what content you are watching. The viewing angle is poor due to the VA panel so it’s better if the viewers sit right in front of the TV. Even if it has a wide color gamut, it is not the best when it comes to HDR because it can’t get really bright and lacks a local dimming feature. It has decent motion handling. It produces just about an average sound; an addition of a sound bar or other external speaker upgrades is beneficial. The MU7000 runs Samsung’s 2017 Tizen smart platform called Smart Hub. The core of the interface is the Smart Hub itself; the interface is well designed and easy to navigate. It has a simple remote with few buttons and a built-in microphone for voice commands for changing settings and searching for content. The TV can play content cast from a smartphone or tablet and also from a USB drive. The Samsung MU7000 is a good TV for mixed usage. Its overall picture quality is quite good and input lag is great. It is a bit pricey but you won’t be just paying for MU7000’s sleek and minimalistic design. It is appreciably bright and colorful 4K TV. It’s high native contrast ratio and good black uniformity makes dark scenes looks fantastic, especially when playing HDR images. 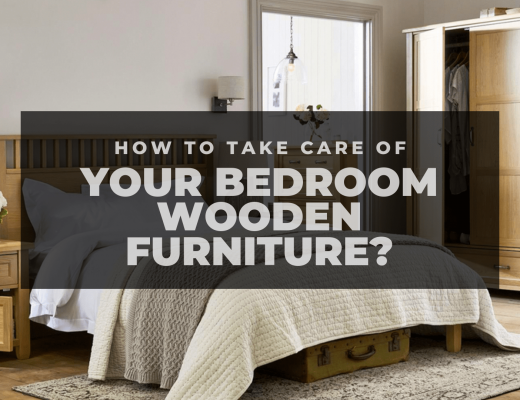 Nonetheless, due to its poor side viewing angle and not so bright peak brightness, it is recommended not to use it in a wide room and extremely bright room. The Sony X850D series is a mid-priced television series that comes along with the latest technological features. It can be defined as a combination of smart parts, style, and innovative features. This series is ideal for the people who are looking forward to buying a 4K TV for home entertainment purposes. These TVs have the ability to deliver an amazing user interface through Android OS TV, impressive visuals, and seriously enhanced design. It features 4K resolution and high dynamic range (HDR). Its sleek, minimal design fits with almost any décor. It’s Android-based smart TV system is one of the best that you probably won’t need to connect an external streaming box. Its picture quality in a darker room isn’t the best but it boasts a better viewing angle and somewhat improved HDR capability. 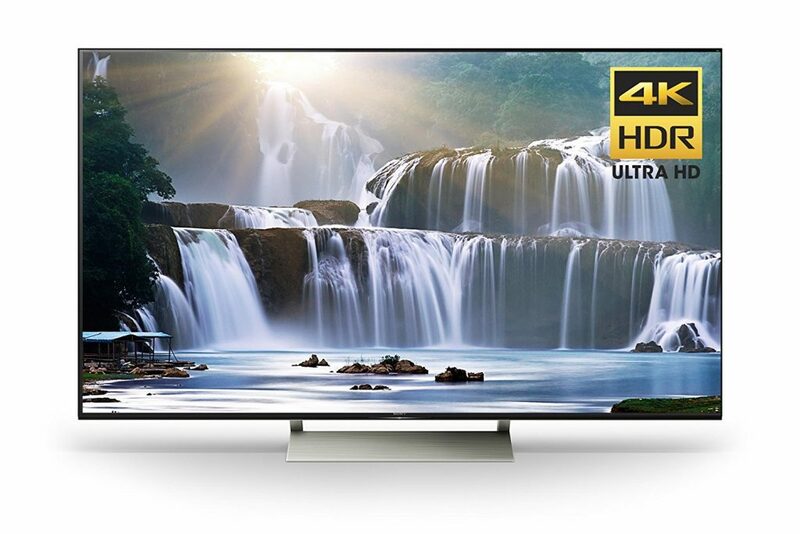 Sony X850D is available in 4 screen sizes: XBR55X850D with 55 Inch sizes, XBR65X850D with 65-inch sizes, XBR75X850D with 75-inch sizes, and the largest XBR85X850D with 85-inch sizes. Its design looks good and it feels sturdy. Its frame and stand are entirely made of plastic and it is relatively thin. The back of the TV looks a little blocky and some connections on the back might be inaccessible in a setup when mounted on a wall. Though the picture quality is okay, it won’t look its best when playing dark scenes in a dark room because of its low contrast. But with some lights on, it looks sharp with decent color. It plays movie smoothly from any source. Though there has been some improvement with HDR, it still is not the best option for HDR because it lacks a local dimming feature. The Sony X850D pleases the sports fan. It has very little blur, so the sports activities in motion like running, racing, etc. will remain well defined. Also, it doesn’t show any screen problems on camera panning shots. Its good input lag and excellent motion make it the best choice for gamers. PC gamers will also enjoy the multiple input resolutions the X850D supports. The X850D features four HDMI ports, three USB ports, 1 Digital Optical Audio Output, 1 Analog Audio Output, 1 Component Input, 1 Composite Input, 1 Tuner (Cable/Antenna), 1 IR Input and 1 Ethernet. All the major apps are available in X850D, including a web browser, YouTube, Netflix, Amazon Video, HBO Go and more. Its remote has a soft finish with a familiar layout like previous ones. The 55”, 65” and 75” have an IPS panel whereas 85” has a VA panel. Hence, 85” will produce better blacks directly in front but bad color accuracy at an angle. 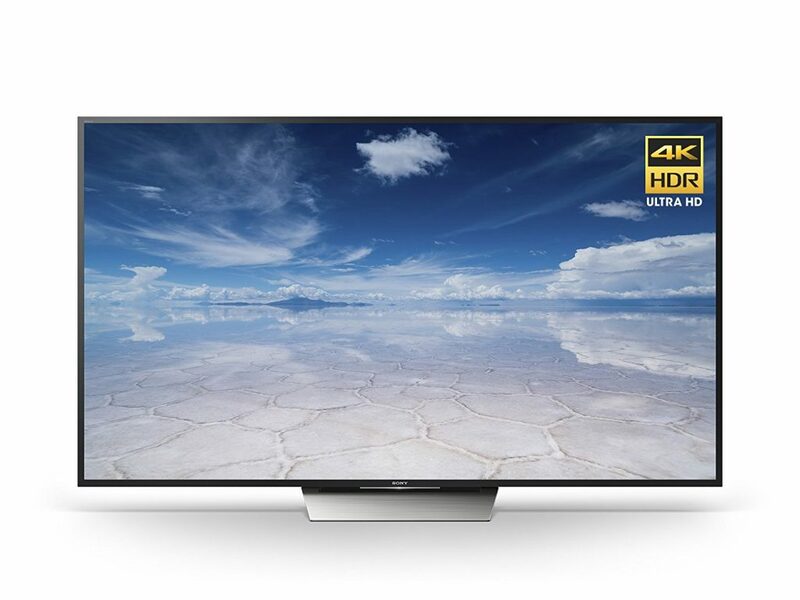 The Sony XBR-X850D series offers cutting-edge 4K HDR features, solid video processing, and futuristic minimalistic design. However, it doesn’t have the best contrast and only delivers an average HDR performance. The mid-priced X850D has the features, style, and smart parts right but not the impressive picture performance. 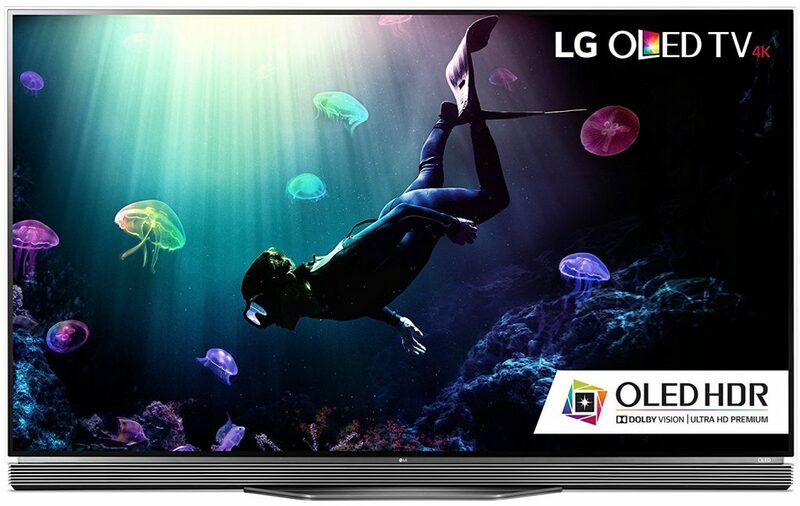 The LG OLED E7 is awesome TV but if you are tight on budget you might want to consider other cheaper OLED TVs from LG with the same image quality. The E7 has Picture-on-glass high-end design elements that create a little more depth on the screen, both in picture quality and depth of the screen itself at 2.4” to 2.7”. Its black levels are perfect, and color information just pops off the screen. The picture quality of E7 is stunning with super-rich colors, excellent HDR content, pitch blacks, and perfect contrast. The deeper black levels create colors that pop more and more contrast on the screen. The center viewing contrast and color saturation of E7 are perfect. The pixels are directly applied to the back of the glass panel so there are very fewer layers between you and the color. Although the color changes slightly, the side angle viewing quality is perfect regardless of your viewing angle. The LG OLED55E7P is Internet-enabled 55-inch OLED Ultra HD TV that can access online content, including movie streaming and other services. It has four HDMI ports, three USB ports, 1 composite video input, 1 Ethernet port, 1 Optical Digital-audio output but no component-video inputs. USB ports allow you to play media from USB sticks and Ethernet jack allows a wired connection to your home network. Its WiFi capability lets you connect it to your home network wirelessly. It is DLNA certified, so you can view digital photos stored on a compatible computer, phone or other mobile devices connected to your home network. The OLED55E7P’s screen has a glossy finish and it has a flat stand with no pedestal. Hence, there isn’t any clearance beneath the integrated soundbar when it is placed on a tabletop surface. Alternatively, it can be mounted on a wall using a 400×200 VESA compatible wall mount. The primary improvement is cyber security assurance program certification, a better or at least different zoom function that allows the user to zoom in on various areas of the picture. Boot up times are fast and the interface layout is straightforward and intuitive and makes sorting your favorite programs very easy with the new LG Magic Remote. The WebOS provides a smooth and very enjoyable experience. It features Smart TV options like Netflix, Amazon, YouTube, HSN, Showtime, Drama Fever, iHeart Radio, and newly DirecTV. The E7 is particularly designed for those who don’t want a soundbar. 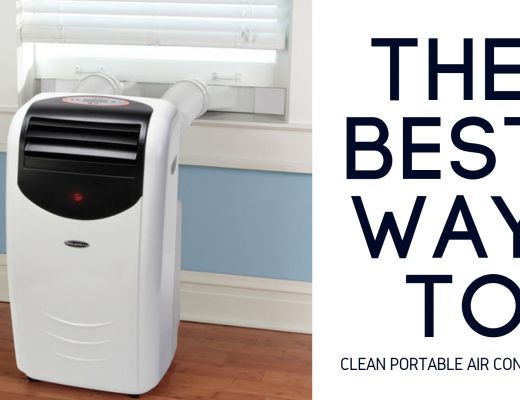 It has a 4.2 channel speaker set up and 60W output and has impressive sound. The E7 support the latest and greatest HDR10 as well as Dolby Vision and Technicolor HDR. Though it’s not the best value model, its picture quality, better speaker and cool design won’t let you down if you can afford it. The Samsung MU6300 is a better than average 4K Smart LED TV. Though it is very extravagant, it delivers decent picture quality and a good set of features. Unfortunately, picture quality degrades quite rapidly at an angle and it is not bright enough for well-lit environments. The MU6300 comes in 6 screen sizes: UN40MU6300 (40-inch), UN43MU6300 (43-inch), UN50MU6300 (50-inch), UN55MU6300 (55-inch), UN65MU6300 (65-inch), UN75MU6300 (75-inch). It is well designed but not eye-catching. Its looks are almost identical to the 2016 model, KU6300 but the build quality is similar to other competing TVs. The V-shaped center stand is iconic of Samsung TVs. The back is all plastic and all of the inputs can be accessed from the side, which is great for those who place the TV near a wall or mount on the wall. The thickest part of the TV is near the bottom but it won’t stick out too much when wall-mounted. The controls are also relatively easy to access. It has a better than average picture quality. The excellent contrast ratio and amazing black uniformity enable the TV to display dark scenes with a lot of detail, especially when set in a dark environment. However, it cannot really get bright enough to fight glare from bright lights or sunny windows. The gray uniformity is not that good and dirty scene effect is visible, especially when watching sports. Since the viewing angle is not so good, it is recommended that viewers sit directly in front of the TV to get the best picture quality. The lack of local dimming and of a wide color gamut disables its capacity to make HDR stand out when compared to SDR content. The MU6300 has middling motion handling. The response time is good, resulting in a fairly short trail following fast moving objects but those sensitive to judder will notice it when watching movies from any source. The motion isn’t quite as smooth as some other TVs because the backlight uses PWM to flicker. It has a 60Hz panel, which can interpolate lower frame rate content. MU6300 supports nearly all the common input signals, including HDR, so most content will be properly displayed. It features 3 HDMI ports, 2 USB ports, 1 Digital Optical Audio Output, 1 Component input, 1 Composite input, 1 Tuner (Cable/Antenna) and 1 Ethernet. The MU6300 runs Samsung’s 2017 Tizen smart platform that makes navigation easy but has more frame drops in its animations than last year’s Tizen. A narrow bar at the bottom of the screen is the home menu and most smart features can be accessed without leaving the home menu, making the interface easy to use. You can voice command from the remote’s microphone to change settings and searching content, without having to navigate the TV’s interface. Content can be cast to the TV from a smartphone or tablet or a USB stick using one of the two USB ports. Its input lag is remarkably better than average, which makes it a good choice for gamers. It might not be an excellent TV but it offers good picture quality for its class and great performance on some features that have been offered. The Samsung MU6300 series is a decent 4K UHD that displays itself to be pretty competitive to what’s currently found on the market. 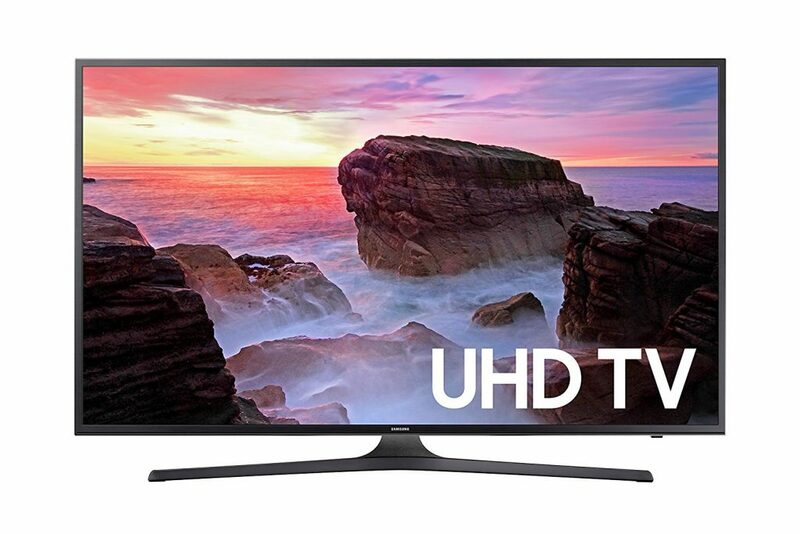 It is a good entry level TV for multiple purposes and considering its price it is reasonable. Check more about UN40MU6300 (40-inch), UN43MU6300 (43-inch), UN50MU6300 (50-inch), UN55MU6300 (55-inch), UN65MU6300 (65-inch), UN75MU6300 (75-inch). The Sony X850E 4K LED TV delivers better than average picture quality and excellent motion handling but lacks a handful of high-end features. It gives its best performance in the darker environment. And the narrow viewing angle does not make it best fit for wider living rooms. It is a mid-class of Sony’s 2017 4K HDR LED TV line up. It is available in 2 screen sizes: XBR65X850E (65-inch), XBR75X850E (75-inch). The 65-inch model uses VA panel whereas 75-inch still uses IPS panel like Sony X850D. Like other Sony TVs, the X850E has a sleek and minimalistic design. The familiar center stand supports the TV well and provides some basic cable management. Its borders are quite thin and the build quality is good and feels sturdy. Its small footprint, ideal for those with narrower tables, and allows for some basic cable management down the rear tracks. But the inputs may be difficult to access if mounted on the wall. It offers good picture quality. The excellent contrast ratio and black uniformity provide good movie experience, especially if set in a dark room. The SDR peak brightness paired with the reflection performance is just enough to fight glare from bright light or window. So, the performance is just decent in the bright room. Its good gray uniformity offers a good sports experience without a dirty screen. Its HDR performance is decent with good color reproduction, however, it lacks local dimming and HDR peak brightness. The X850E has a fast response time so it has excellent motion handling. The backlight doesn’t flicker by default but it is possible to enable flicker to clear up motion. Its 120Hz panel can interpolate lower frame rate content. The X850E has a variety of inputs and its HDMI ports support all the common input signals. The X850E features four HDMI ports, three USB ports, 1 Digital Optical Audio Output, 1 Analog Audio Output, 1 Component Input, 1 Composite Input, 1 Tuner (Cable/Antenna), 1 IR Input and 1 Ethernet. It has low input lag in game and graphics mode and should feel responsive when playing video games or interacting with a PC. The Sony X850E offers a sub-par audio experience. It produces just about an average sound; an addition of a sound bar or other external speaker upgrades is beneficial. It runs Android TV, which tends to be more difficult to navigate than other smart platforms. But it has access to the Google Play Store that has more apps and content than many other platforms. Its remote is rather large and has a lot of buttons and a built-in microphone for voice search. The Sony X850E is a decent TV that is affordable and its performance that offered is in accordance with its price. Check more about XBR65X850E (65-inch), XBR75X850E (75-inch). The LG OLED E6 4K TV delivers an excellent picture quality that can be enjoyed from anywhere in the room. 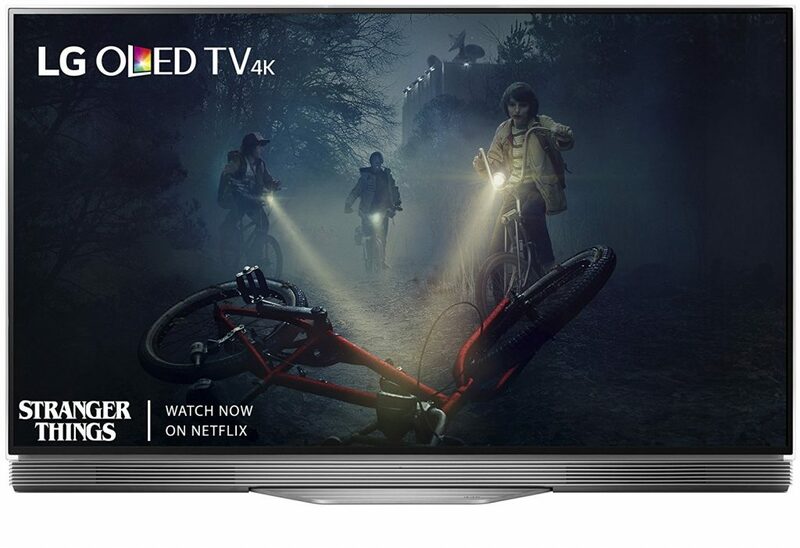 It is the LG’s 2016 OLED range that boasts flat screen, a built-in sound bar, a stunning ‘Picture On Glass’ design and LG’s unbeaten WebOS smart TV system. Its perfect black and an infinite contrast ratio result in a picture that pops. The motion blur is also practically non-existent. It is available on 2 screen sizes: OLED55E6P (55-inch) & OLED65E6P (65-inch). It has an impressive and fantastic look and appears high-end. The upper part of the TV is so thin. It has an interesting design; its stand and speakers are flat with the table surface. The stand is made of plastic and minimalistic and extends from the middle of the flat speaker surface. Its borders look very good from up close. The front glass sits directly on the back panel of the TV. The LG OLED E6 has exceptionally awesome picture quality for watching movies and TV. The OLED panel allows for perfect black performance. The HDR support and color performance is very good and the peak brightness is an improvement on other OLED TVs. It displays sources from a wide range of resolutions very well. The screen coating deals with reflections well and it also supports 3D. The gray uniformity is better than LED TVs but it is still not perfect. It has a great viewing angle and contrast stays very good from every angle. The E6 supports a wide range of resolutions at up to 60Hz. The input lag is not as low as some other TVs but is still good. It is great for most people as it has a wide range of inputs. The input features it includes are 4 HDMI ports with HDMI 2.1a and HDCP 2.2, 3 USB ports, 1 component video input, 1 composite video input (shared with component), Ethernet port, Optical digital audio output, RF (antenna) input and remote (RS-232) port (minijack). The selection of connections is top-notch. Its motion handling is excellent. There is a minimum of motion blur, and options to interpolate content up to 120fps. It plays movies smoothly from a Blu-ray player or streaming apps but not from all sources. The E6 doesn’t flicker moving images. The low input lag, excellent response for fast-paced games and capability to work well with a range of resolutions make it excellent for video games. The LG E6P is loaded with WebOS that has both sleek design and a very responsive interface. The WebOS 3.0 comes with many popular applications like Netflix, Amazon Video, and YouTube already pre-loaded on the home screen, which is great for easy access. You can also download plenty of application straight from the ‘LG Content Store’. It is a great TV for a range of multiple purposes; it is compatible with both types of HDR TV shows and movies, Dolby Vision and HDR10. But if you don’t have enough money, you should opt for the less expensive versions. Check more about OLED55E6P (55-inch) & OLED65E6P (65-inch). 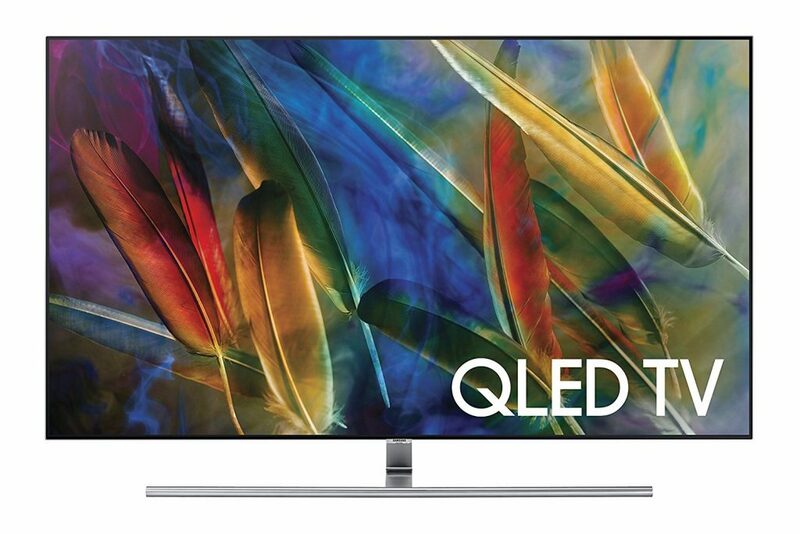 The Samsung QNQ7F is a QLED TV. Samsung’s ‘QLED’ is a brand-new term for many people, and the World’s No. 1 TV maker calls it ‘the next innovation in TV’. The Q7 series has more innovation in design and features than in picture quality. Its awesome ‘invisible’ fiber-optic cabling combines with an external connection box to make clean-looking installations easier than ever. The QNQ7F is a good, well-rounded 4K TV. It comes in 3 screen sizes: QN55Q7F (55-inch), QN65Q7F (65-inch), and QN75Q7F (75-inch). It is beautifully designed; its flat design looks great with thin borders and a sleek stand. The central stand feels very secure and supports the TV well. There are two alternative stand designs, the gravity stand, and the easel stand. It is possible to route the cables through the stand. The OneConnect box and the TV each require a separate power cable. These can both be hidden behind the panels. The TV is very slim and looks great from the side. The Samsung Q7F has a good picture quality. Its excellent contrast ratio and a good black uniformity make it a good choice to watch movies in a dark room. This QLED TV has average brightness so it won’t be the best option to set in a very bright environment. Even though the gray uniformity is good, its viewing angle is not so great. Hence, the image degrades at an angle and not suitable for a large group watching. It has an excellent wide color gamut coverage but the poor local dimming and the just above average HDR peak brightness won’t make HDR movies stand out. The Q7F has excellent motion handling. Its response time is very fast that results in a very short trail following moving objects. The backlight flickers at 120Hz and this cannot be adjusted. Movies played from any source appear smooth and content can be interpolated up to the panel’s native refresh rate of 120Hz. Its sound is similar to most other TVs with built-in speakers. Even a cheap soundbar improves the sound quality a lot. The Samsung Q7F has low input lag in game and PC mode that makes it very responsive. It supports a wide range of resolutions and color subsampling configurations so it can play nearly any content, including HDR. The connectivity features it has 4 HDMI ports, 3 USB ports, 1 Digital Optical Audio Output, 1 Tuner (Cable/Antenna) and 1 Ethernet. The only inputs to the TV are located on the OneConnect box. Samsung’s Tizen smart platform has received a visual overhaul for 2017. It has a white theme and nicer animations; however, the animations are much less smooth due to frequent frame drops and stuttering. But that doesn’t affect the usability of the interface and it is still fast and mostly lag free. The interface is easy to use and the simple layout helps you quickly find what you are looking for. Its remote is made of metal and beautifully designed, and performs great. The Samsung Q7F QLED TV is a good TV but it is a little pricey than its competitions. It is a good TV overall and performs well in most use cases. The picture quality is great and has a large color volume. Its excellent motion handling and low input lag make it a great choice for the gamers. 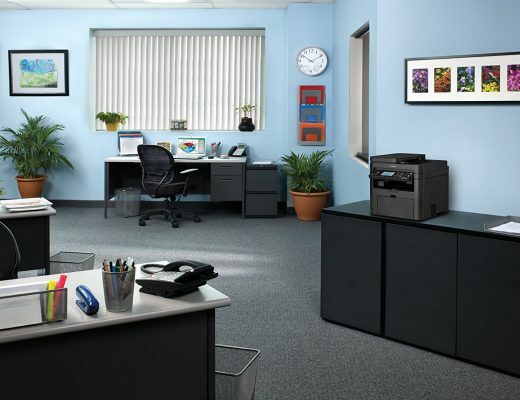 However, the images degrade at an angle and it could be much brighter for a well-lit environment. Though pricey, it exhibits high quality in every aspect, from its design to its features, and especially the picture quality. Check more about QN55Q7F (55-inch), QN65Q7F (65-inch), and QN75Q7F (75-inch). The Sony XBR75X940E, along with X930E series is the star of Sony’s 2017 4K HDR LED TV lineup X Series. Unlike X930E series, X940 is only available in 75-inch screen size. It is a large TV with amazing picture quality and great performance on some features that offered. It supports most of the HDR formats including HDR 10, HLG (Hybrid Log Gamma), and Dolby Vision. Ultra HD Premium Certification that ensures it can show HDR 10 Videos fully like what intended certifies it. Its design is familiar to any Sony fans because of its minimalist and industrial look. Its stand is small and at the center, which supports the TV well and can still fit on most tabletops. It features many panels, which reveal a great cable management system. The borders have an average thickness and look good with a metal edge. XBR75X940E uses VA panel with Direct LED Backlighting and Full Array Local Dimming. This Sony XBR75X940E LED TV has an impressive picture quality. The high contrast ratio and the excellent black uniformity make the dark scenes look amazing, especially when the TV is in a dark room. The picture quality remains good even when set in a bright room. The overall gray uniformity is average and the viewing angle is not so satisfying. It is really a top performer when it comes to HDR because of its excellent local dimming and high HDR peak brightness. It tends to have a long response time so motion blur may be seen depending on the content. This is not an issue for the movies but a long trail can be seen for PC use and some games. It uses PWM to dim the backlight but the frequency is high enough to not to be noticeable. It is possible to reduce the frequency to clear up motion considerably. About sound quality, it produces a slightly better than average sound. But it is beneficial to add an external sound system like a soundbar. The Sony X940E supports all the common input signals, including HDR and should be able to properly display any content. It is equipped with 4 HDMI ports, 3 USB ports, 2 Composite In (shared), 1 Component In (shared), 1 RF In, 1 Ethernet In, 1 Optical Digital Audio Out, and Analog Audio Out (Mini Jack). All HDMI ports already support HDCP 2.2. It has good 4K input lag but its 1080p input lag may be a disappointment for competitive gamers. It uses Android TV 7.0 Nougat, which brings a few new features to Android TV such as a picture in picture mode and multitasking menu. But it fails to address the main problems with the Android TV platform like the ease of navigation, lag and frame drops, and a lack of smart feature in the remote. The TV’s ‘Chromecast built-in’ functionality enables the user to cast content to the TV from a smartphone or tablet. The remote works well and has a built-in microphone for voice search. It is a great LED TV and is larger than average TVs. The OLED TVs are the tough competitors in its price range but it produces some of the best blacks found on LED TVs and it can get quite bright. Also, its excellent local dimming and ability to display a wide range of colors make it great for HDR experience. Its minor drawback on motion handling doesn’t make it bad TV. It is a bit pricey but it is a huge TV with full and multi-standard HDR support.